About 15 Poky Pedalers turned out for the inaugural Poky Pedaling Potluck Picnic. 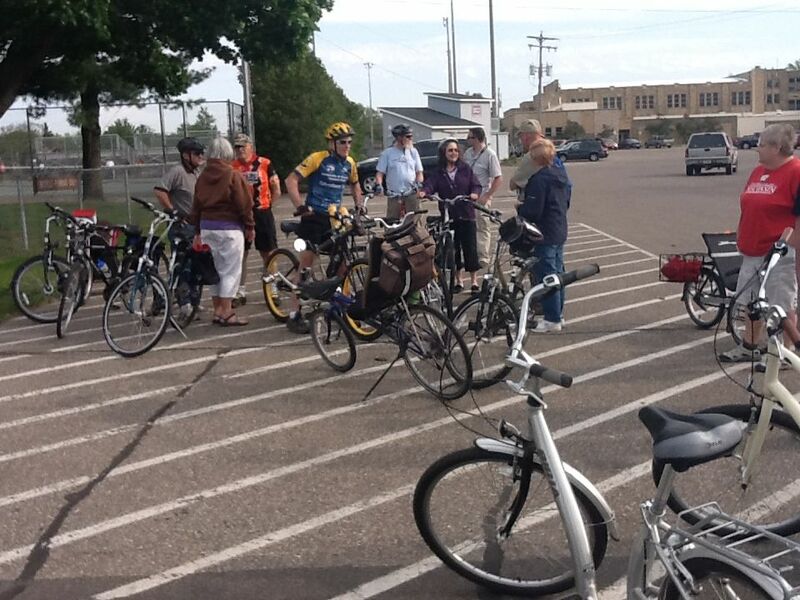 This was the first of nine Bike Fun events being staged this year by Poky Pedaling Stevens Point. Although there were a few clouds and a bit of a breeze, a pleasant evening greeted our group as we departed Goerke Park around 5:30 PM. We enjoyed a nice ride on calm streets, first to Trigs and then onward to Atwell Park on Jordan Lane between Lindbergh Ave and Soo Marie Ave. The total distance to Atwell Park was just under 4 miles. Due to the casual pace of our ride and the time for buying picnic goodies at Trigs, it took us a bit over an hour to arrive there. For the picnic, some brought salads prepared at home while others provided drinks, crackers, cheese, veggies, dips, and more purchased at Trigs. We sat in the park and enjoyed our picnic dinner over amiable conversation on a lovely evening. Several in our group had never been to Atwell Park before and were pleased to discover such a nice spot. After our wonderful meal, our Bike Fun concluded with the short ride back to our starting location. 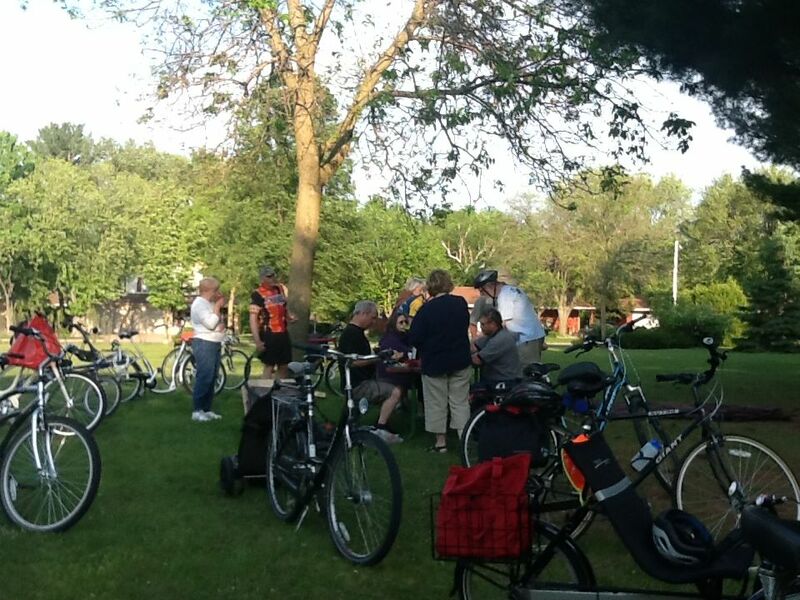 Poky Pedaling Potluck Picnics occur the 3rd Tuesday of each month through August, always meeting at 5:15 PM at Goerke Park near the entrance to the pool. Each one will stop at a food store before heading to a mystery park location that is different each time. You can visit this page for the full schedule of 2012 Bike Fun with Poky Pedaling Stevens Point. Make your plans now to attend an upcoming Poky Pedal and share some Bike Fun.